The first trailer for “Captain Marvel” (which you can see here) hints at a lot of things, from the origin story of Carol Danvers as a superhero, to the fact that she doesn’t remember her life on Earth. It also is pretty vague about the threats she faces when she returns to Earth. 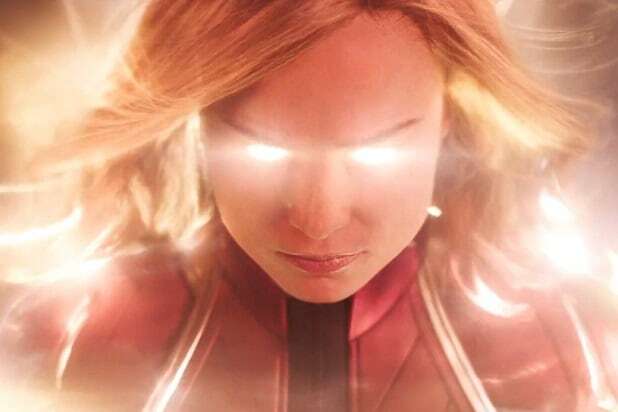 One shot from the trailer gives a sense of what Captain Marvel (Brie Larson) is up against, and at least part of the reason she’s returned to Earth. It’s the one that makes Danvers look a little rough — when she blasts an elderly woman in the face while riding a train. If you’re a fan of the Marvel comics on which “Captain Marvel” is based, you probably have an idea why Captain Marvel would punch a seemingly innocent human. If not, you need to know about one of the biggest, most ubiquitous alien threats in the Marvel universe: the Skrulls. The Skrulls are the main villains of “Captain Marvel,” as far as we know. And perhaps the most key characteristic of the Skrulls is that they have the ability to shapeshift. That is, they can pretend to be human if they want to (You can read all about the Skrulls here). The news that the Skrulls would feature heavily in “Captain Marvel” sparked a lot of theories about how a character who’s been around the Marvel Cinematic Universe for a while might have secretly been a Skrull the whole time — Hawkeye (Jeremy Renner) is a popular pick. In any case, this factoid about the Skrulls is important for this moment in the trailer when Danvers whacks that old lady. We would presume that she did that because she thought that woman was a Skrull in disguise. 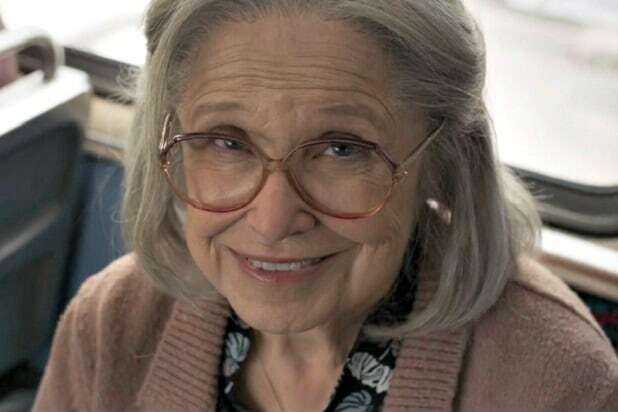 We’ll, of course, have to wait to see the movie to find out for sure, but it seems unlikely that Marvel would want its newest hero to introduce herself to the work by slugging an old lady who really is just a random old lady. Also Read: Who or What Are the Skrulls, the Villains in 'Captain Marvel'? There’s another shot in that trailer that indicates Danvers isn’t just being crazy — the shot from earlier in the trailer of Captain Marvel doing battle in a train station and on top of a train. Those shots look to us to be from the same sequence, both taking place on the LA Metro’s Blue Line, which is a light rail that goes from downtown to Long Beach (though she leaps on the train at the Green Line’s Dougas station because Movie Magic). So if she’s on top of that train shooting lasers out of her hands, then that old lady probably wasn’t just an old lady. “Captain Marvel” lands in theaters on March 8, and serves as a prequel to most of the MCU as it’s set in the 1990s. In addition to Larson, the film features a de-aged Samuel L. Jackson as Nick Fury, Jude Law as Captain Marvel’s mentor, Mar-Vell, Lee Pace and Djimon Hounsou reprising their roles from “Guardians of the Galaxy,” and Gemma Chan and Ben Mendelsohn. “Captain Marvel” is directed by Anna Boden and Ryan Fleck.